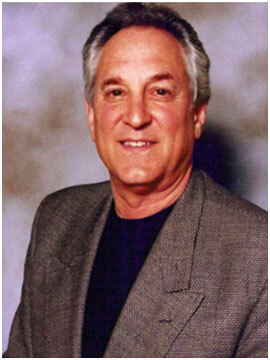 A native Californian, Harry Lederman was born and raised in Los Angeles. Harry served in the Army as a military policeman, in Germany, during the Vietnam War. Upon his return to civilian life, he entered his family’s business, manufacturing outdoor furniture accessories. In 1970, Harry was at an Italian furniture show where he saw an example of the Bean Bag Chair. He purchased the Bean Bag Chair and fine-tuned the design and was the first to produce it for the mass market, creating a national phenomenon. During this time he was responsible for all operations to include manufacturing and nationwide sales. In 1976, Harry was hired by Nature’s Best, a natural food distributor in Southern California, as the sales manager supervising eight salespeople. In his tenure, he increased sales over 400% in less than three years. Harry’s entrepreneurial drive inspired him to start his own brokerage firm in 1979. He represented a variety of companies in three categories: grocery, HABA and supplements. In 1988 Harry developed a line of frozen food products which were licensed to a major manufacturer. As an advisor to his wife, Sandy Gooch – founder of Mrs. Gooch’s markets – Harry served as an integral counsel reviewing the shopping, in-store company goals. His guidance helped Sandy review and implement strategies that assured exceptional customer satisfaction. He created the slogan, “Caring Today about Tomorrow”, which became a major emphasis for the stores. In 1991, Harry helped design and build an energy-efficient home utilizing many environmental systems and materials. Real estate development has been Harry’s focus in recent years, having bought, built and sold numerous residential and commercial properties. Harry and his wife, Sandy, were original investors in Elephant Pharmacy and spent much time developing the concept and working with the team on strategy and positioning in the marketplace. A passionate and enthusiastic cook, Harry has taken cooking classes all over the world. His other hobbies include photography and the recent accomplishment of acquiring his pilot’s license. He is currently pursuing his pilot’s instrument rating. He loves worldwide travel, and is devoted to his grandchildren, dividing his time among California, Arizona, and Colorado.